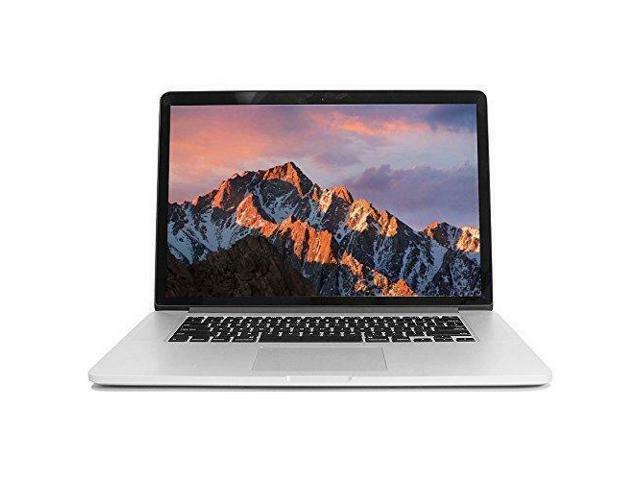 The MacBook Pro Core i7 2.8Ghz 15.4 Inch (Integrated Graphics - Mid-2014 Retina Display) features a "Haswell/Crystalwell" 2.8 GHz Intel "Core i7" processor (4980HQ), with four independent processor "cores" on a single silicon chip, 16 GB of onboard 1600 MHz DDR3L SDRAM (which cannot be upgraded later), 512 GB of PCIe-based flash storage, and an integrated Intel Iris 5200 Pro graphics processor with 128 MB of "Crystalwell" embedded DRAM (and shared system memory). It also has an integrated 720p FaceTime HD webcam and a high-resolution LED-backlit 15.4" widescreen 2880x1800 (220 ppi) "Retina" display in a case that weighs just less than 4.5 pounds (2.02 kg). Connectivity includes 802.11ac Wi-Fi, Bluetooth 4.0, two USB 3.0 ports, two "Thunderbolt 2" ports, an HDMI port, an audio in/out port, and an SDXC card slot. This item is covered by TechGator Return Policy. Pros: It's an amazing computer in all regards except that they sold me a broken computer. Other Thoughts: I bought this computer for work and it requires use of external displays. You sold me a broken computer. 4 out of 5 people found this review helpful. Did you? Pros: I was very pleased with the Apple MacBook Pro mid-2014 machine that I received. The condition and technical specs were as advertised. Having tracking info available makes it a smooth purchase experience. 2 day shipping is definitely worth paying for. Other Thoughts: Buying through Newegg provides a layer of confidence.